The first game of this juncture has been played between Portugal and Poland in which Portugal have qualified by beating Poland on penalties after the match was 1-1 in extra time. Two other games will be played at this stage between Germany & Italy and France & Iceland. Wales and Belgium are both very strong teams, and this match will be very exciting to watch. 2nd July 2016 at 00:30 (IST). Wales have been excellent in this tournament and should very optimistic with the way they have been playing here. They qualified for the first time in this tournament, and they have a very talented squad to even further, but they know that beating Belgium will never be easy. They have had 44 attempts on the goal and out of that they have score four times. Their captain and top scorer Gareth Bale has been good when it comes to scoring goals but hasn’t really done anything else, he has to have more possession and try to make up some good plays and needs to lead like a captain. He has been outstanding in the matches he has played, scoring two free kicks but from now on he has to play even better to take his team even further in the tournament and continue this dream run. Both these teams have played ten times before in which Belgium have won four times, Wales have won three times, and three matches were drawn. Belgium has been the most expensive and one of the strongest teams in this tournament, and they have lived up to this hype, till now. From now on things will get serious and only those who can handle this pressure can go further in the tournament. The most consistent player in the team should be their captain Eden Hazard, who has been brilliant in this tournament as he is the top assister with three assists and one goal to his name till now. Hennessey, Chester, Williams, Davies, Gunter, Allen, Ledley, Ramsey, Taylor, Bale, Vokes. Courtois, Meunier, Alderweireld, Vermaelen, Vertonghen, Naingollan, Witsel, Mertens, De Bruyne, Hazard, Lukaku. 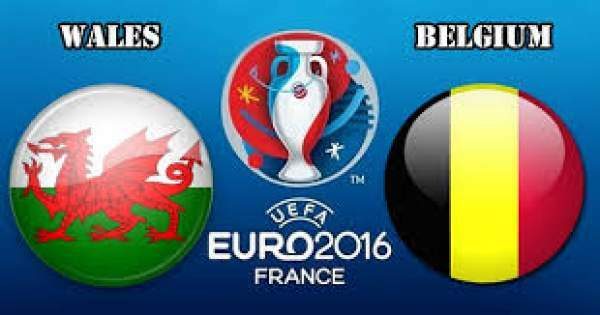 WAL vs BEL Euro 2016 quarterfinal match will start at 9 p.m. local time (12:30 p.m. IST). Stay tuned for the match result, full highlights, and much more.